Pierre Cardin watch company was founded by Pierre Cardin, the world's famous designer. In the very beginning the brand, producing clothes and perfumes, advanced in popularity all over the world. Cardin empire owned Maxim's restaurants, hotels, cultural institutions, the estate of Chateau Lacoste in Luberon, etc. Later, the company began to produce Pierre Cardin watches, that are on hundred per cent up to the world's highest standards. The company's personality and style is emphasized by the Pierre Cardin logo, that is engraved on the watches and other products of the brand. The Swiss movements (Ronda and Isa) are housed in Pierre Cardin watches. These watches combine the impeccable precision of the movement with French elegance, the international image with high quality materials. Regardless of a market, Pierre Cardin products are considered at the same time fashionable and classic, traditional and futuristic. 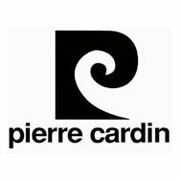 Pierre Cardin produces watches for men and ladies of middle age, who emphasize their individuality, take care of themselves and follow the fashion. The company also creates watches for young people, who want to stand out, and can afford to buy a watch by Pierre Cardin. The wrist watches with Pierre Cardin logo are manufactured by EGANA Goldpfeil Group. This group is a large holding company, that manufactures and sells watches, leather accessories and jewelry. The EGANA Goldpfeil Group includes the most famous brands: Goldpfeil, ESPRI, MEXX, Bulova, Cerruti, Lorica, Argenta, Carrere, Junghans, Dugena and Field & Stream. In the early 1980s, Chromachron company, a member of the Egana Group, took out a patent for the production and distribution of Pierre Cardin jewelry and watches. In 1997, EGANA Goldpfeil Group acquired the ownership of Pierre Cardin watches and jewelry. The first Pierre Cardin watches had rather a restrained classical design. These watches were austere and elegant, keeping the decorative elements to a minimum. 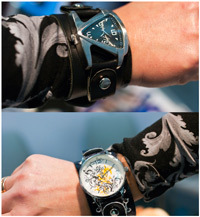 A number of the completely updated men's and women's watches was presented in 2007. As apposed to the previous models, in which the main point of the design was a combination of materials and colors, the design of new Pierre Cardin models is focused on the abundance of details, glamorous, but not intrusive. While creating new Pierre Cardin collections, such as Tonneau, Aventure, and others, the watchmakers combined different materials: steel, silver, gold, precious stones, strasses, crystal, glass and genuine leather. Thanks to that, the watches appear to be more expressive and bright, but still remaine in the medium valuation band. New watches by Pierre Cardin are marked with the logo of the famous designer — that is letter "P". Pierre Cardin men's and women's wrist watches have a delicate style and an innovative design. The high level watch assembling is done by the most skilled watchmakers. The regular presentations of new Pierre Cardin watches attract the attention of many watch connoisseurs. Pierre Cardin, as a designer, has achieved a great success in the watchmaking business. The elegant, graceful and sophisticated wrist watches by Pierre Cardin are distinguished by their high quality and original design.